McDonald Funeral Home believes in offering each family - regardless of faith, ethnic background or income - the same support that we ourselves would expect. We carefully listen to wishes in order to provide a truly meaningful, personalized service. Each family that turns to us is given guidance for choosing a service that is appropriate for their situation. Instead of waiting to be asked, we look for ways to be of further assistance. In the mid-1940's, seeing the need to provide the families of this area with another way to pay for funeral expenses, the McDonald family formed their first burial insurance company. Over time, McDonald Funeral Home expanded responsibilities. Our purpose started out as serving during a time of need but has since expanded to include: working with families as they plan for tomorrow, providing follow-up help for families after the funeral, and overall contributing to community group efforts to make this area a better place. The prices below are based on the General Price List for McDonald Funeral Home. However, funeral homes sometimes have special pricing packages available, and you should ask if those are available. Please let the funeral director know that you found McDonald Funeral Home on Parting.com to allow us to continue helping families like yours. 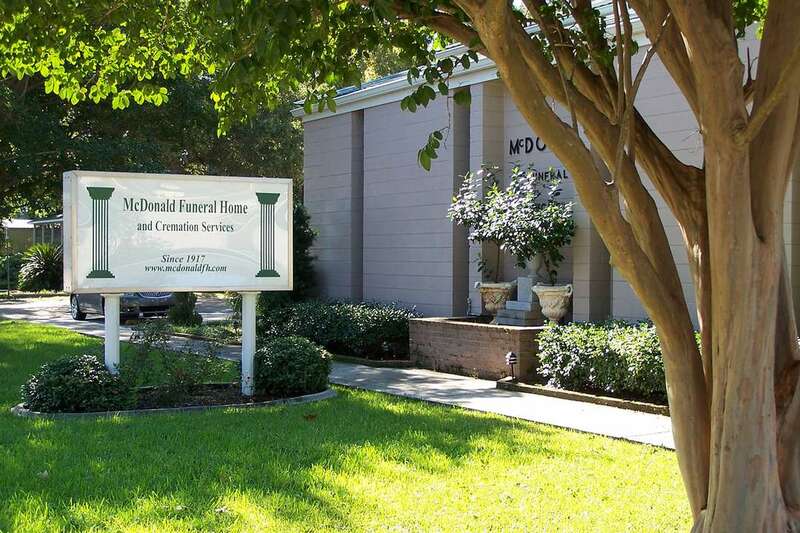 The funeral directors at McDonald Funeral Home are available to provide you with expert advice.